I'm back with another FOTD and this is a bright one! I've gotten a couple of people asking about more bright looks and I do try to do a mix between wearable, smokey, bright and artistic. This one is super duper colorful and fun. I actually filmed a tutorial for this look when I first got my new video camera about 2 months ago. I was inspired by a look that Nene wore on an old episode of the Real Housewives of Atlanta. Unfortunately, my lighting was really off so there's a huge shadow cast on one side of my face. Luckily I took some pictures, a bit blurry but they look kinda artsy, lol. Let me know if you guys like this one, I'll refilm the tutorial! Next time, I think i'll do different colored lips because I remember having to just grab whatever I had laying around. I love doing this combo! Looks great on you!! This kind of makeup looks really reminds me of you're old tutorials when you first started on youtube. Keep them coming! HOT! 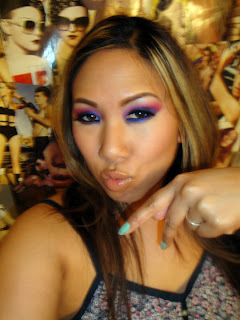 I agree with "EveryDay makeup blog" this does remind me of ur old school looks! U look gooood!!!! 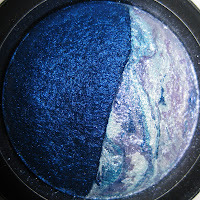 blue and purple really go well together - love your colorful eye makeup! i've always loved it and love that you are still doing them! some other bloggers start doing colorful eye makeup then later on just do neutrals - a bit saddening for me hehe since i started like that and i still love colors too! keep it up! Love it! What a great combo!! These colors compliment each other so well. 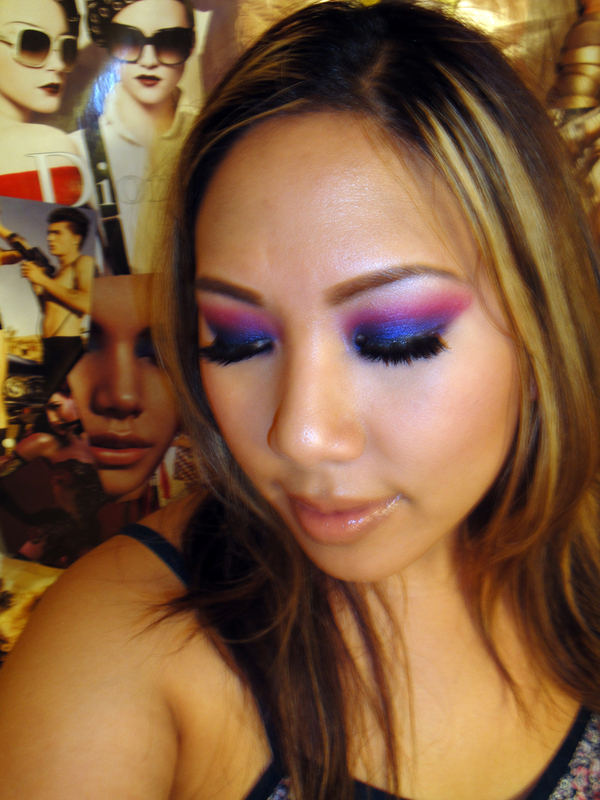 Very pretty.. i did a similar look friday night.. with a purple shirt..